The Insurance Information Institute published a helpful article reminiding all to take inventory of major life events and their impact on your insurance policies. April is Financial Literacy Month, the Perfect Time to Review Your Insurance Needs. Getting married or Divorced? This will impact home and renters insurance due to combining or separating households. Newleyweds should ensure expensive wedding gifts are included on their policies. The III provides free Home Inventory software which you may use Know Your Stuff®. With a camcorder or cell phone camera, you can video the contents of your home for future reference. Having a Baby? This will impact your life insurance needs. You want to be certain that your family is provided for in the event of your untimely death. Also, be certain to update beneficiaries to include the new baby. Renovating Your Home? After adding a new room or upgrading existing rooms, be sure to notify your Trusted Choice agent to ensure your coverage is adequate. Also verify that outside structures are covered by your policy. Renting a New Home or Apartment? You need to insure your belonging because this is not covered under your landlord's policy. A recent study conducted by ORC IUnternational concluded that only 29% of renters have proper insurance coverage for fire, windstorm, flood, or liabliity. Check with your Trusted Choice agent for your options. Planning to Retire? If you stop working, your vehicle mileage will probably be reduced which will qualify you for a credit on your auto insurance coverage. There may also be discounts for drivers over age 55 or for taking Defensive Driving classes. 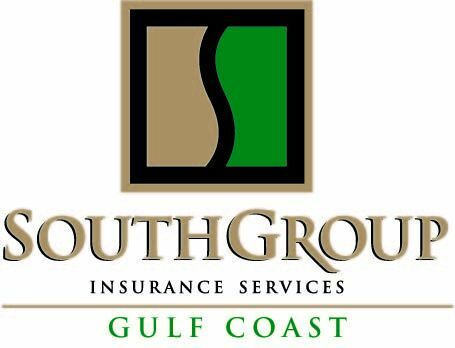 To help you through the maze of coverages, carriers, premiums, and ways to save money on your insurance, if you are on the Gulf Coast, contact your Trusted Choice agent, SouthGroup-Gulf Coast http://www.southgroupgulfcoast.com/ / , SERVICE TEAM: Angelyn Treutel, Tammy Garfield, Tammy Hogue, Wendy Johnson, Denise Russell, Melissa Moran, Alex Treutel, Kayleigh Davis, Matthew Langlinais, Ane Gillam, Ashlie Moody, and Whitney Zimmerman at SouthGroup Gulf Coast. You can reach us by snail-mail: 412 Hwy 90, Suite 6, Bay St Louis MS 39520, email: atreutel@southgroup.net , phone:228-466-4498, fax:888-415-8922, FaceBook www.facebook.com/southgroup.gulfcoast , or Twitter www.twitter.com/atreutel !